It's once again giveaway time for RadioShack and PhoneArena! This time we're teaming up to offer you the unique opportunity to win the wonderful Beats by Dr. Dre Solo headphones, as well as a Werx screen replacement kit for your iPhone 4S/4. Are you looking for a better audio experience when on the go? Well, with a bit of luck, you may not need to look any further than this giveaway! 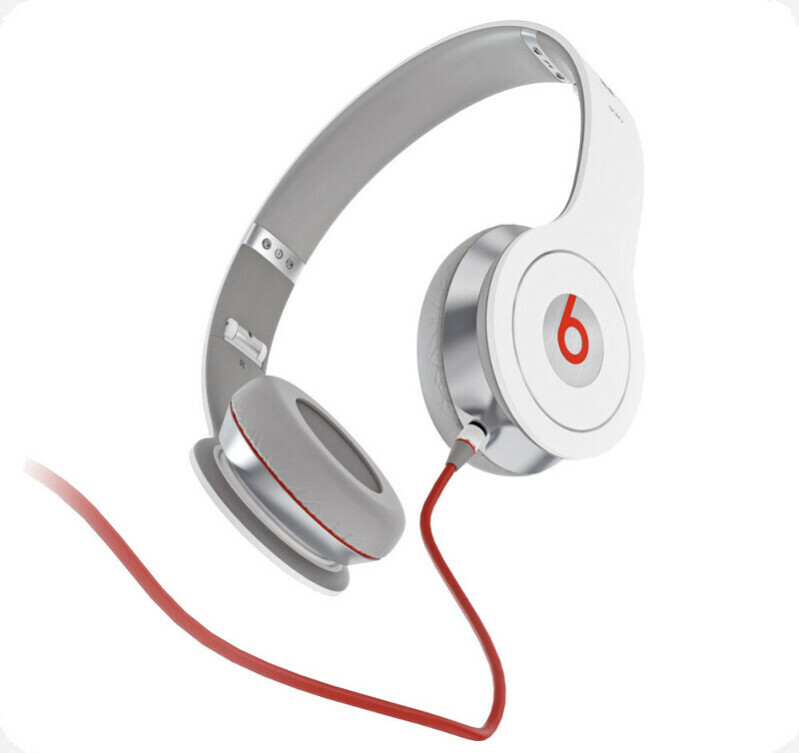 The Beats by Dr. Dre Solo headphones have been recognized to be extremely suitable for listening to modern musical genres. With a powerful, rich sound and a practical, folding design, the Beats by Dr. Dre Solo are sure to appeal to every audiophile, and pretty much every user out there. 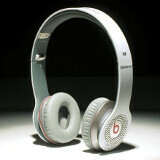 But you have to make sure that your cell phone stays operational at all times, if you want to enjoy your new Beats Solo! This is where the Werx screen replacement kit that we're also giving away comes in. This is a service that you can purchase at RadioShack right now for $99 for Android and iPhone screen replacements, and $199 for an iPad screen replacement. Basically, upon purchase you'll receive a prepaid FedEx box, where you'll have to put your phone in the unfortunate event of screen damage. Then, you simply ship the box to Werx and in 72 hours, you'll receive your phone back, with a shiny new screen and a limited lifetime warranty. Have you ever broken the screen of your phone and what did you do to fix it? We'll choose one lucky fellow next Monday (July 30) who will win the Beats by Dr. Dre Solo and the Werx iPhone 4S/4 screen replacement kit. We'll contact them via the email address that they used to register on PhoneArena.com. *Update July 30, 2012* We have drawn the lucky winner - congratulations to Ksupowercat13! I have never broken a screen, yet!!! Knock on wood.....but I have not broken a screen on any of my phones. Oh how this would benefit me the most. My brother dropped my GS3 from 8ft. high and cracked the corner (where the FFC is) when I just bought it two weeks ago. Based on my luck, I won't win. Knock on wood... I've also never broken any screens on all my phones i ever owned, but I've helped other people fix theirs even though I mentioned to them they will lose their factory warranty with their iPhones. I would definitely use the prize from this on my wife's phone if she breaks hers. Haven't broken one yet. Can I still win? Yes, I called my insurance and got a replacement. A broken screen is the main reason why I buy insurance. I have not broken my screen. Yes I have broken my screen before, 4 days ago, on my brand new iPhone 4s I purchased off of Craigslist. Got out my truck forgetting it was in my lap and yeah you know the rest lol. Luckily I have my HTC One S as backup and are currently using that while I wait for some money to come in to fix the screen on my iPhone. Never broken a screen before. I have broken my Samsung Epic Touch screen. Luckily being a tech I was able to personally replace the screen myself. I have not broke the screen on my phone but I did buy an iPhone with a broken screen, bought a replacement on Amazon and changed it my self. It took me 2.5 hours and it is something I don't really want to do again. Phone Arena, please, do giveaways opened to everyone in the world! Love these giveaways, lets get to the good stuff! Phone: Droid Inc location: Parking Lot What happen? I was leaving the gym and put my water bottle and phone on the roof of my car. I thought to myself "don't forget about it." I quickly opened my door, grabbed my water bottle and got in. well the next part is pretty painful as I backed up nice and slow and the phone stayed on the hood. then I punched it forward and turned and the phone flew from my roof and skidded across the lot... batter door, battery, and phone all go flying separate ways! I panicked and grabbed it all, didn't even look at it or put it together till I got home. screen was shattered but the phone was in pretty good shape! so I hit up Amazon and ordered a new screen! I had replaced my friends wildfire screen earlier that year so it wasn't to tough! had I known about Worx though I might have checked it out! my brothers iPhone screen is currently shattered and so is my cousins (lol iPhone) and so ill be sure to hook them up with the Werx fix! did u just copy n paste it? BassBeats is a over rated head phones built by cheap plastic. I'd rather have a professional head phones than Bass Beats. I really like these headphones. The sound quality is insanely good. I think this is one of the best giveaways so far! Good luck all! ! I have broken a screen once and got by for awhile just putting tape (or a screen protector) across the front to keep it all in place. Luckily, I was able to upgrade soon after it happened so it wasn't too terrible. Yep, shattered my screen last month on my Droid Razr. Dropped it face down on tile floor and it was over after that. I went to best buy and they gave me a replacement one. My son cracked the screen on my iPod touch as well. It's just sitting in a drawer now. My 3 day old iPhone 4s fell out my pocket on an escalator. By the time it stopped bouncing down both the screen and the back glass were shattered. To fix it I went back to my broken Droid incredible until the gnex was released.